SERVPRO of Troup-Coweta Counties has been locally owned and operated since 2003. For 16 years, we have been on hand to provide 24-hour emergency service and are dedicated to being faster to any size disaster. Whether production, office, or marketing, members of our team are standing ready to answer your questions and provide peace of mind in the middle of your event. Everyone on our production team is certified through the Institute of Inspection Cleaning and Restoration Certification (IICRC). Our highly trained technicians can respond immediately to your residential or commercial emergency. From water or fire damage to mold remediation, trust SERVPRO of Troup-Coweta Counties to handle your cleanup and restoration needs. SERVPRO of Troup-Coweta Counties is locally owned and operated—so we’re a part of this community too. We are also part of a national network of over 1,700 Franchises, which enables us to respond quicker with more resources. 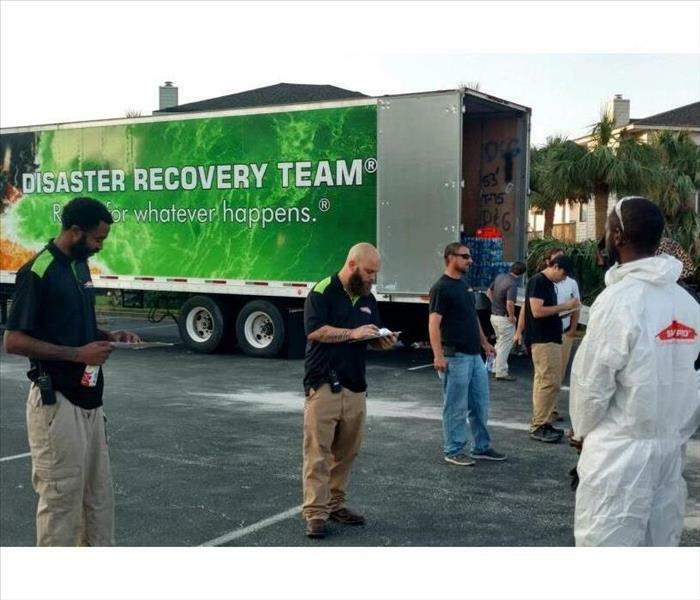 For major storms and disasters, we can call upon special Disaster Recovery Teams strategically located throughout the country.